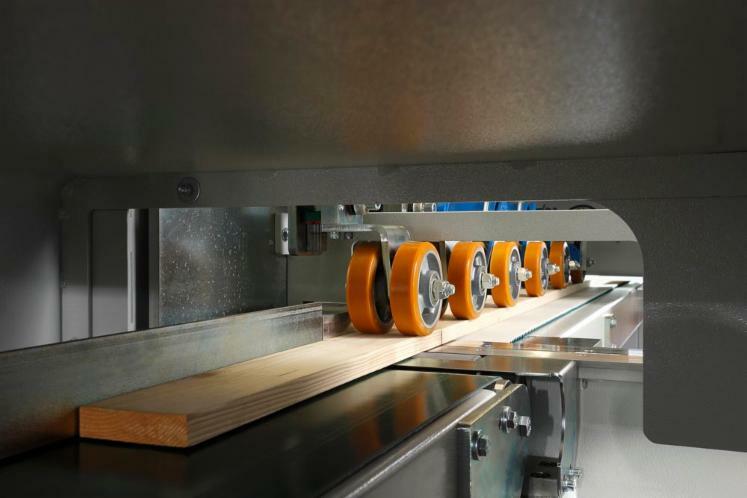 - Suitable for mass production of wood preparation or finger-jointed lumber production. 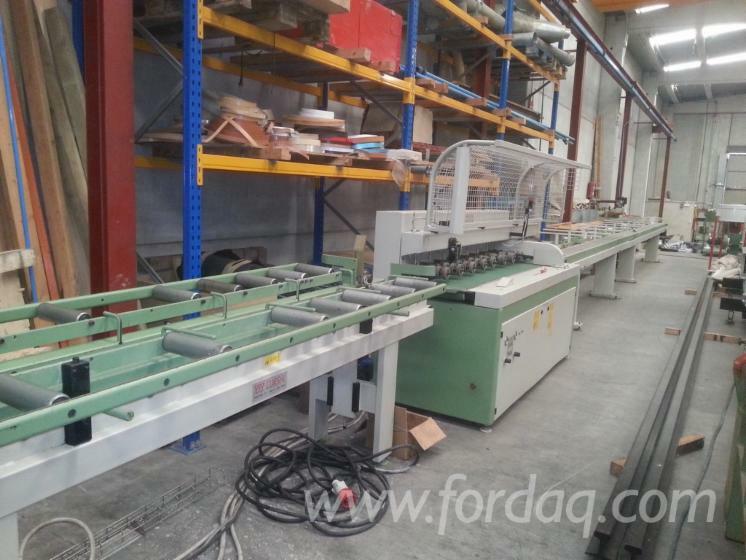 - Heavy duty type semi-optimizing cut-off saw. - Using optional crabwise auto-feeding table can increase productivity by 10%. - Suitable for processing long or heavy lumber. - Adopt Mitsubishi servo motor and driver, providing high torque and high stability. - An economical approach to CNC cutting ! - High production! User-friendly operation ! 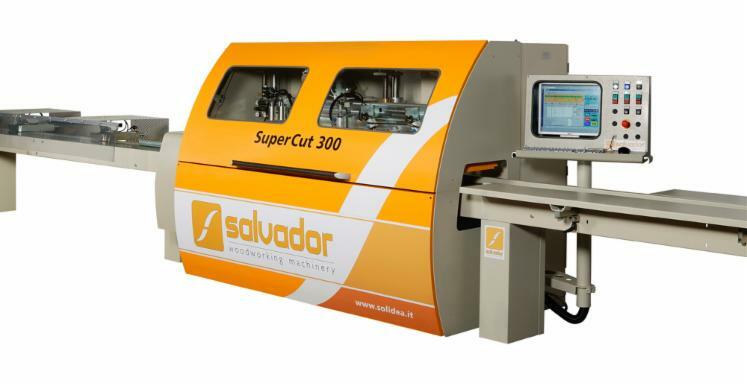 - Provides a high cutting accuracy at feed speed up to 150 M/min. 1. Ideal for finger jointing (for defect) materials and mass material preparation. 2. 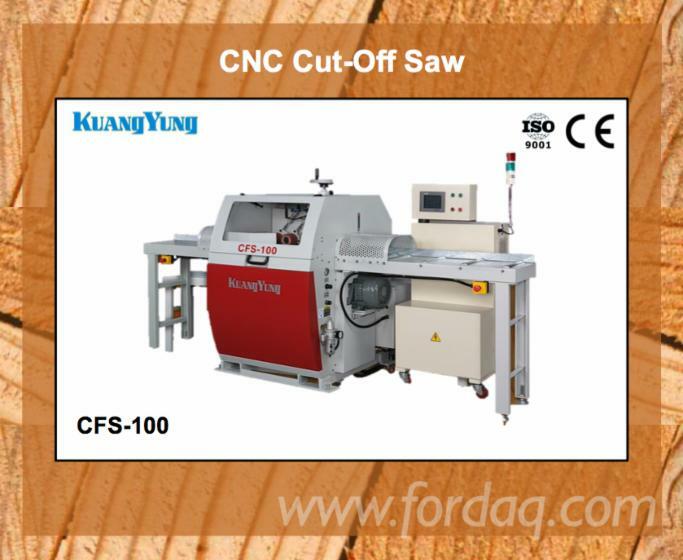 Provides 3 ~ 5 times higher production rate than manual cut-off saws. Saves over 5% of wood materials. 3. Comprehensive safety guards for maximum operator protection. 4. High cutting accuracy within ±1mm. 5. The control employs a touch screen for easy learning and operation. Saw spindle speed	50 HZ 4000 r.p.m.